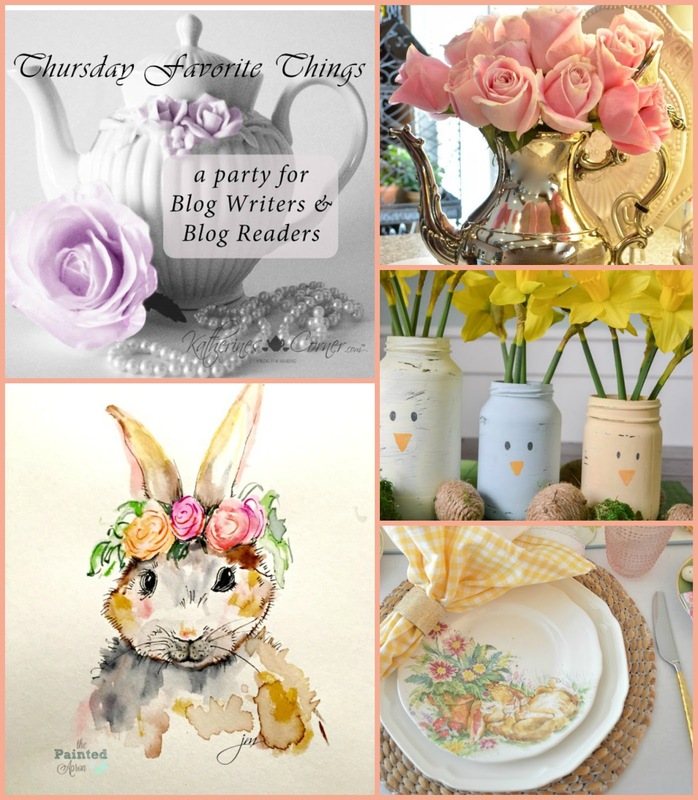 Hey sweet friends, happy Thursdays Favorite Things party day! 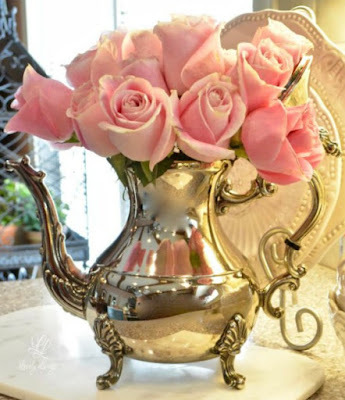 I'm just going to let these beautiful features speak for themselves this week. Tons of wonderful ideas and recipes shared last week. 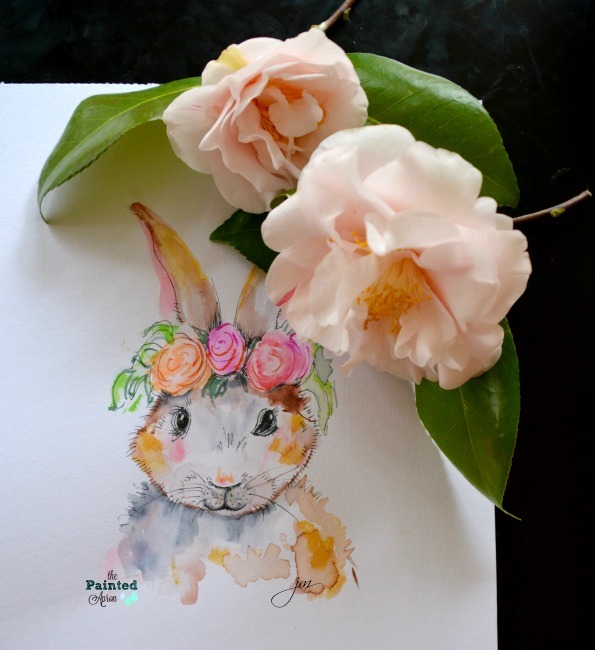 Love all the Easter, Spring, even Saint Patrick's day projects and ideas you all brought. I've been pinning away and busy with my family, but I am so grateful to be part of this beautiful group of blogging women. Enjoy the party! The Painted Apron's Floral Bunny IS my absolute fave!! I'm jealous of your talent! This is SO adorable. 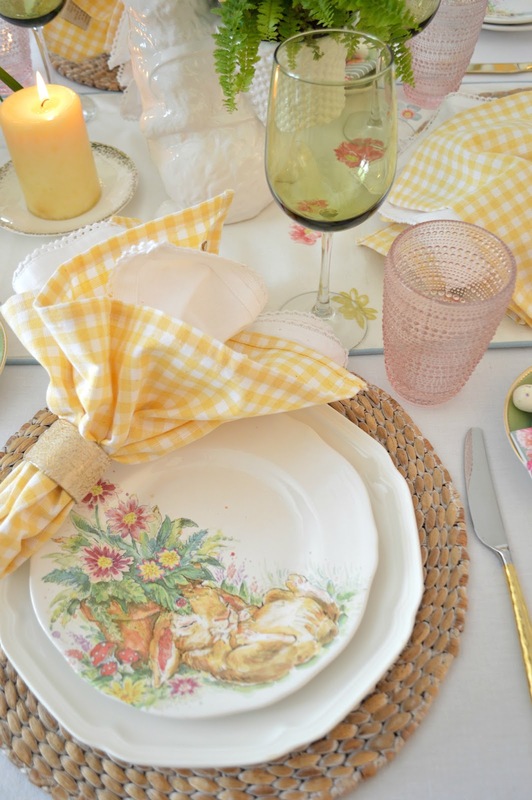 Rosemary and Thyme's Sunny and Fresh Easter Table is so inviting. 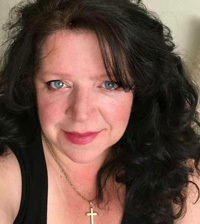 I want to pop over to her house for Easter, don't you?! 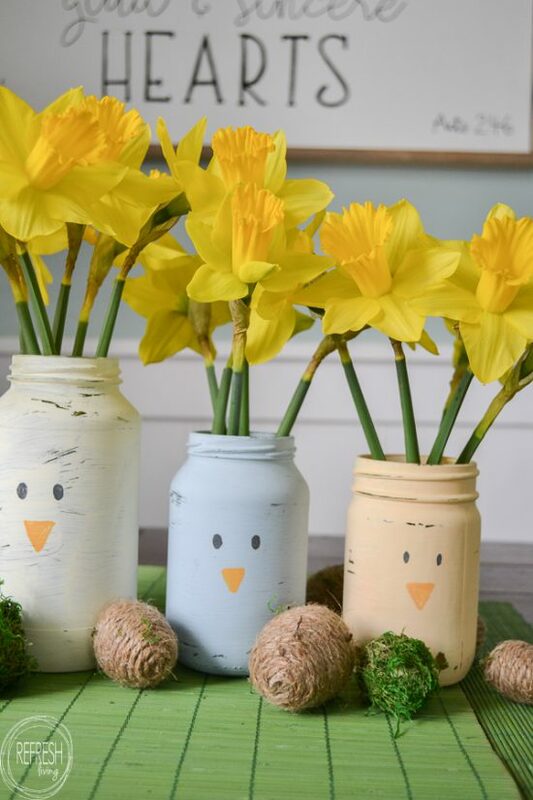 Refresh Living's DIY Spring Centerpiece from Glass Jars, well what can I say, just when you think you've thought of or seen everything someone could do with a mason jar, you get these adorable little guys. Thanks for being here. Now, let's see what you all are up to this week! Thanks for the party. I love all of the pretty spring time features! Hope you're having a lovely week, Theresa.